Caption slip reads: "Photographer: Hecht. Date: 1954-04-20. Reporter: McMahon. Assignment: Stolen property case. 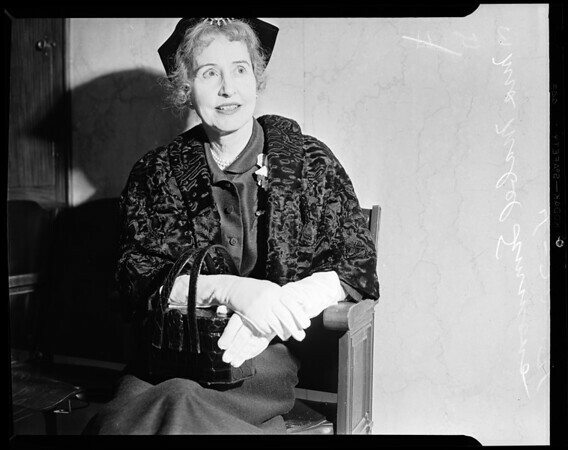 34/35: Mrs. Mabel Simmons".